For a classic and sophisticated look Mindy Browne have created the Aaron clock. 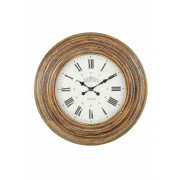 A beautiful round wall clock with a worn antique look brown wooden frame. 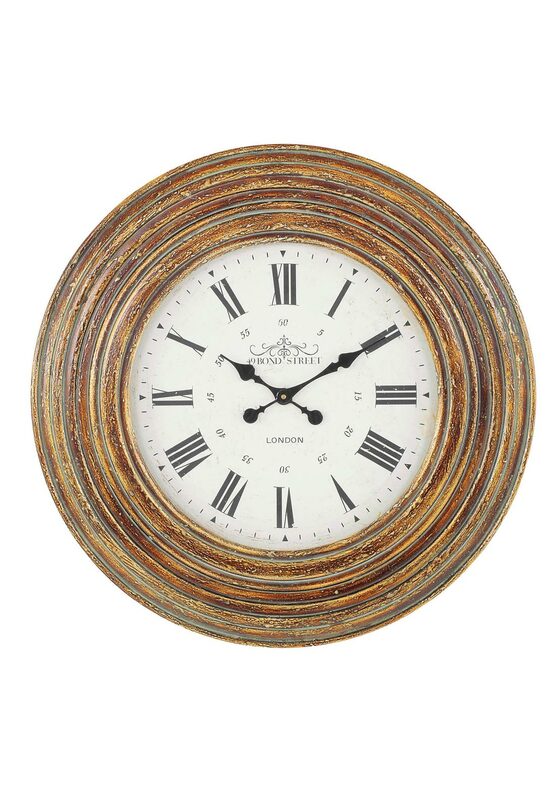 It has a white face with a Roman numeral and will add a stylish vintage look to your home.